Over the past few years, the wrestling world has lost many of the superstars who made the product great. These amazing individuals have been dying far too young and often. Just last week, Ballz Mahoney, known for his time in ECW, passed away in his home. Mahoney was just 44 years old. Then last night, the wrestling world was once again rocked as Joanie Laurer, better known as Chyna, passed away at only 46. While her death is still under investigation, Chyna made headlines recently for wanting to be put in the WWE Hall of Fame. Former boyfriend, Triple H, released a statement at the time saying that Chyna’s involvement in the adult film industry thwarted any chances of her being in the hall of fame. Dubbed “The Ninth Wonder of the World” Chyna was a sports-entertainment pioneer. 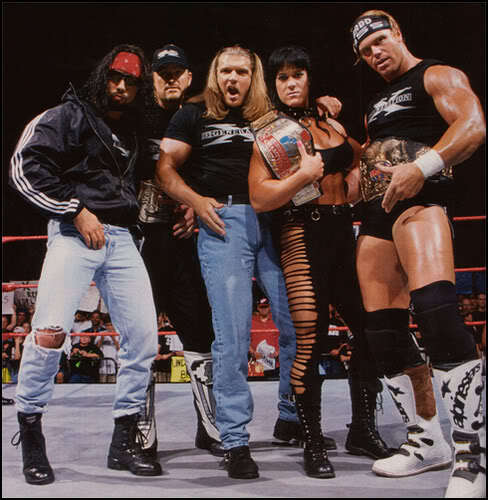 A member of one of the most popular wrestling factions of all-time, Degeneration X, Chyna became the first and only female to win the Intercontinental Championship in WWE. She also held the WWF Women’s Championship during her career and became the first woman to enter the Royal Rumble. After a nearly 10-year run in WWE, Chyna left in 2007. She made appearances in New Japan Wrestling, as well as TNA in 2011. While no official cause of death has been released, police are treating the death as an overdose due to Laurer’s history with drug usage. No illegal drugs were found in her home during the investigation, and there were no signs of foul play. Laurer’s manager confirmed that she was on medication for anxiety and sleep deprivation. Regardless of the cause, this has become an all too common occurrence in the wrestling world. Rest in peace Joanie Laurer, another wrestling star who was lost way too soon.